Air, water and the Sun are things we can’t live without. Each one of us gains immunity at birth and through mother’s milk which is the healthiest food we can get at such an early stage of life. Some mothers weren’t lucky enough to breastfeed their child, but they compensated for it in a different way. Every parent strives to provide their child with a careless childhood and give them a healthy life. We are all familiar with constant colds, runny noses, uncontrollable coughs as well as many other diseases our children deal with in school and kindergarten. Therefore, you have to know how to boost your child’s immune system in all-natural ways. Insufficient sleep makes children whine because of every little thing. Children who don’t get enough sleep are more likely to end up with learning and behavioral problems. This also leads to obesity and emotional problems, as well as a low performance at school. Their attention span gets shorter and your child’s nervousness makes you nervous even more. Establish a bedtime routine, cut out the use of gadgets before sleep, and teach them about healthy sleeping habits. Cigarette smoke is absolutely unacceptable around children as it contains carcinogenic and toxic substances. Your child’s immune system is still not developed enough to be able to fight these dangerous substances. First of all, the rooms where your child plays and sleeps should be aired frequently since not even adults enjoy living in a place with stale air. They should also be humid-free. 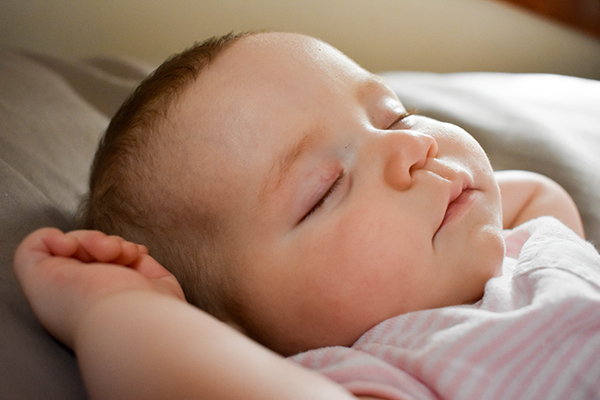 Clean and fresh air helps your child sleep better during the night. Moreover, you could purchase the best air purifier for allergies. These devices make little noise and are lightweight so you can place them wherever you want. They remove impurities such as dust, smoke and pet hair. Sun gives us energy and puts everyone in a good mood. Therefore, it is essential for a child to spend more time outside in nature. Let them run, play with their peers and comfort them when they fall down and scratch their knees. Each of these activities positively influences the physical and mental development of the child. Therefore, an hour or two in a park will not take a lot of your valuable time but it will help your child grow and provide better sleep. Your child’s nutrition should include fresh fruits and vegetables enriched with vitamin C and antioxidants that travel through the body and prevent cell damage. 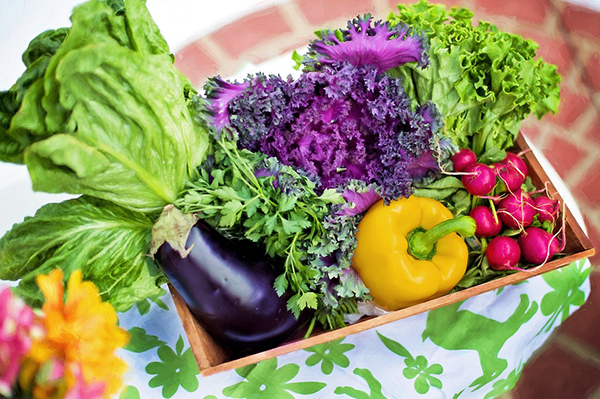 Broccoli, carrots, spinach, and garlic are big contributors to a great immune system. Although this might not be the food of your child’s preference, apricots, melons, and pumpkins are also healthy. If your children lack the appetite for some reason, feel free to feed them with bee pollen. Bee pollen has essential nutrients, a high content of vitamin B, and it contains an antioxidant that enhances the cardiovascular function. It also boosts the immune system and helps with allergy treatments. The amount of sugar should be reduced since it is responsible for many diseases. You don’t have to cut sweets out of their diet completely, but you have to dose the daily intake. In addition, it is necessary to consume a sufficient quantity of liquid, since water is an essential nutrient for every human being. Children are recommended from eight to ten glasses of water per day. The best way to keep your child healthy is to give them love and affection. 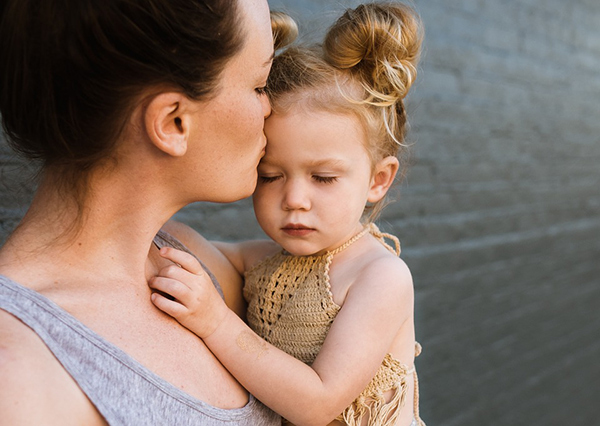 Children need to be kissed, hugged, snuggled and held regularly, as this is how they feel safe and protected. An open display of love affects not only the child’s confidence and the positive development of family values but also the degree of their intelligence. People and children specifically have the ability to adapt to all weather conditions. Climate change can seriously affect the health of future generations, but there’s no need to exaggerate things. For every minor problem, there is an appropriate medicine. The health and immunity of children are formed by the way of life, and parents are there to shape their life. The midwife has confirmed that you're expecting, but your health and wellbeing is important to you. Gone are the days when pregnant women were expected to lounge about their homes. You are free to engage in a prenatal exercise routine! Midwives and obstetricians agree that an otherwise healthy pregnant woman may continue or begin a low- to moderate-intensity prenatal workout as long as she is comfortable. If you are able to breathe well enough to speak while you exercise, ensure you're well hydrated, keep your heart rate below 130, and listen to your body, you can continue with a prenatal exercise program well into the late stages of your pregnancy. Here are five safe prenatal exercises you may enjoy during each trimester of pregnancy. Prenatal Pilates exercises are a great, low-impact way to relax your body through mindfulness and deep breathing as you strengthen key muscle groups. Some practitioners believe that pilates can actually improve balance, which could be a major help as your bump grows and your center of gravity changes. Prenatal Pilates exercises can be done in a group setting or in the privacy of your own home. Yoga, an ancient set of spiritual, mental, and physical disciplines first originating in India, is a great low-impact workout that can easily be modified with your growing belly. Yoga differs from pilates in that it focuses on increasing joint flexibility as well as building strength. 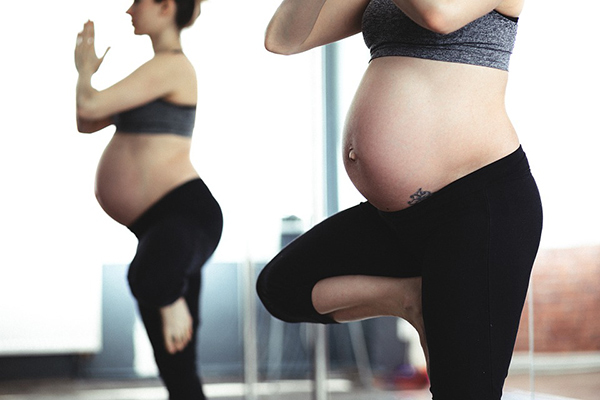 Prenatal yoga classes can be taken in a group setting with other pregnant women and are taught by an instructor who has experience in exercising with pregnant women. Hot yoga, however, is not typically recommended as it can raise your core temperature. Practicing yoga is also a great option if you prefer to do your prenatal exercises at home as there is a myriad of yoga videos available on the web. Bootcamp workouts are typically alternate between intervals of strength training and cardio workouts, but a Mums and Bubs Bootcamp is specially designed for mums -to-be. There will likely be some modifications to the class to ensure your safety and comfort, but this prenatal exercise program can be a challenging way to stay fit as you build strength and stamina in anticipation of birth. Whatever the weather outside when you find yourself pregnant, diving into an indoor or outdoor pool for some water aerobics is a great prenatal workout. Water aerobics is already lauded for its strength training benefits (water has more than 10 times the resistance of air) and the ability to keep participants cool, but mums-to-be will find some other major benefits to water exercise, especially into the second and trimesters. The water will help your growing belly float, which will relieve the strain on your low back and constant pressure on your bladder. The low-impact aspect of this prenatal exercise routine will also keep your feet and knees from aching after a workout. While you're in the pool, consider swimming a few laps as well. Forget a long trip via road bike; hop on a stationary bike and pedal away. Cycling can be modified for each stage of pregnancy, allowing you to work out a little harder early on and slowly make adjustments as your pregnancy progresses. Because stationary bicycles are adjustable, you can move the handlebars as you need to, as well as change the seat height. And what other exercises have a seat just waiting to catch you if you need a quick breather? Rowing is considered to be a great second-trimester workout. By the second trimester, many mums have found their energy has increased while any lingering nausea has decreased so the back and forth motion won't exacerbate morning sickness. Your belly likely won't be an obstacle, and rowing is done from a seated position—it's a win-win. Rowing is also a great way to build up the muscles you'll need to use for birth as it strengthens your whole body. 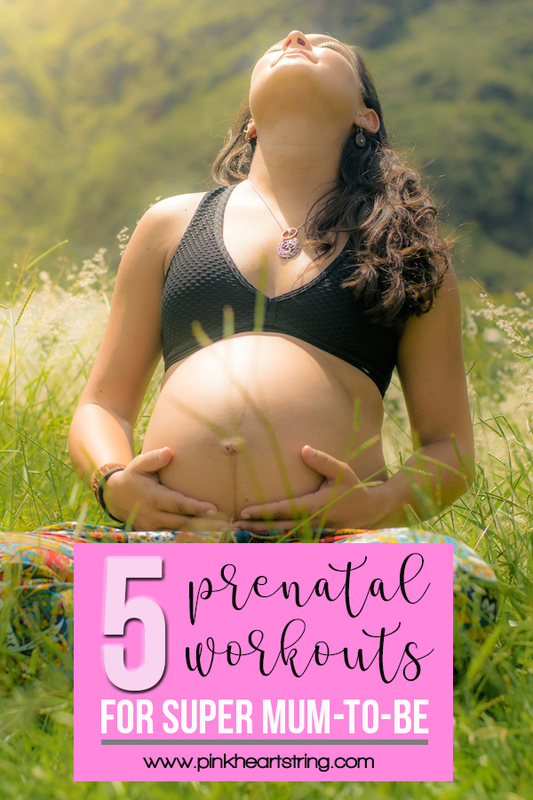 Whether you prefer your prenatal exercises at home or in the gym, working out while pregnant will go beyond maintaining your physical health. Safe prenatal exercises can also boost your energy, improve your mood, help prepare you for the rigors of childbirth, and help you sleep—a precious commodity as you prepare to give the gift of life. Through the years, there have been quite a number of skincare trends that have rocked the world. In 2017, we saw the rise of Korean-style skincare regimens right at the epicenter of the skincare conversation. In the last couple of months, the conversation has seemed to gravitate towards potent ingredients and no-frills products. Given the numerous trends that have come and go, it’s safe to say that most of us are spoilt for choice when it comes to deciding which skincare routine to adopt, which to ditch and which ones are absolute no-nos. Thankfully, we’ve compiled a couple of the top skincare tips that come highly recommended by dermatologists. Vitamin C serums can do the world of good for most mothers out there. The concoctions come with lots of added benefits, other than the obvious beauty elements. The serums contain properties that can effectively tackle things like the effects of age on the skin, uneven skin textures and fading skin lusters. For one to make maximum utility of vitamin C serums, it is advisable to start off the morning with a face wash, followed up by a moisturizer with sunscreen elements. Notably, researchers have found that vitamin C contains the sun protection factor that’s essential in shielding the skin from the damaging effects of ultraviolet (UV) rays. All over the world, the wellness industry seems to be on the up. Holistic approaches like clean living, meditation, and relaxation not only help improve the outward appearance of individuals but also, how one feels inside. 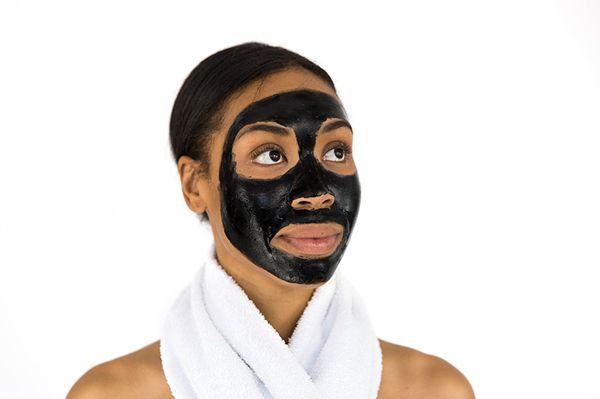 Once these wellness tactics incorporate other beautifying rituals, the skin glows. Nightly beauty routines come highly recommended as essentials to accompany such practices. Scented oils like Jasmine Essential Oils can help replicate spa-like scenarios wherever one is located. Over time, this combination of wellness and all the extras help accentuate one’s skin. Wash-off masks and sheet masks are now considered staples in the skincare industry. Masking was at first a big trend in Asia before gaining massive popularity all over the world. Western countries seem to have ignited the flame and promoted the practice as an effective strategy to achieve a glowing complexion. To get more insights and effective strategies on how to go about skincare, check out Healthyskinsolutions.Com. The site features a plethora of different scenarios that are pocket-friendly, time-saving and a guarantee to the silky smooth skin. 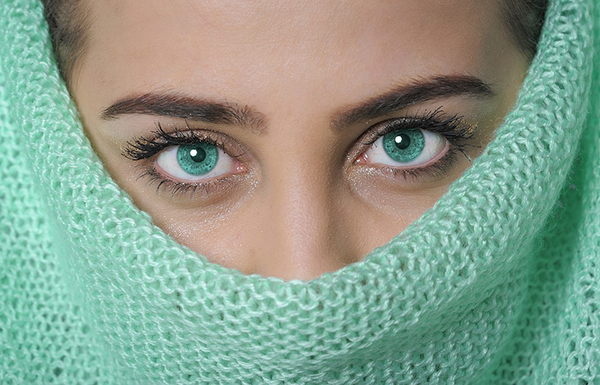 Contrary to popular belief, whitening products don’t actually lighten the skin hue. Instead, whitening treatment involves brightening the skin to bring out the inner glow to right to the epidermis surface. When one is on a whitening treatment regimen, the skin hue greatly benefits since things like scars and hyper-pigmentation become tales of the past. However, one needs to practice caution making a purchase of whitening products since the market has recently been flooded with fakes that offer skin bleaching properties. Remarkably, while these products may work to some degree, most of them are dangerous since they may contain toxic ingredients that can do more harm than good. To distinguish which products are ideal, one can simply visit Nu Skin reviews to check out some of the products appraised. 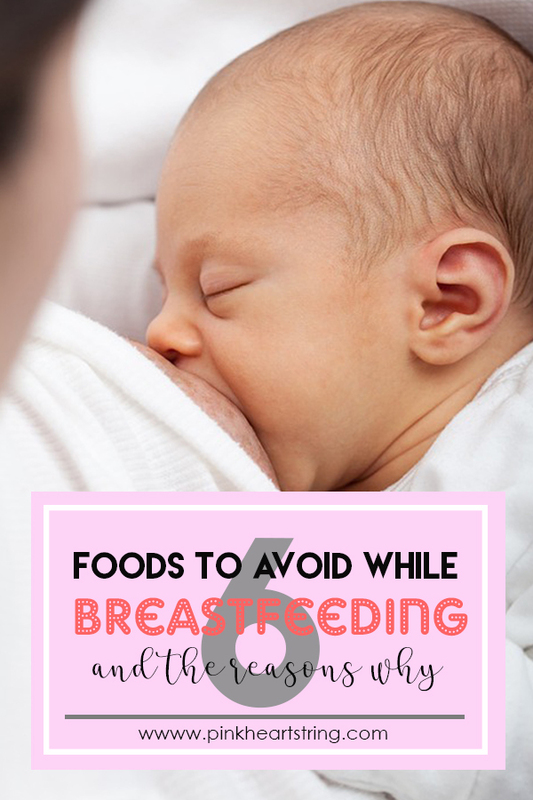 While some studies show that food restrictions during breastfeeding aren’t really necessary, there are some products that should definitely be avoided. 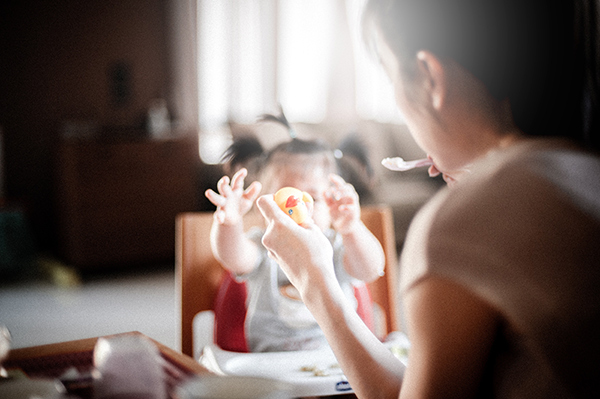 Alcohol, caffeine, some herbs, and spices, as well as some fish, chocolate and citrus fruits, are banned from a nursing mother’s diet for very good reasons. These have to do with the associated risks for your baby’s health and development. Pregnant and nursing women are generally advised to avoid caffeine altogether or at least cut down their intake to 1-2 cups a day. If you want your baby to be as healthy as possible, you should abstain from coffee completely. The reason for this is that caffeine gets into breast milk and infants’ bodies are not able to process it effectively. According to drugs.com, this can cause a variety of problems in the baby ranging from jitteriness, to sleep disorders and anemia. The long-term damage from such experiences in infancy is unknown. Tea and decaffeinated drinks are also associated with the same symptoms in babies, so it’s best to avoid all ‘stimulating’ beverages while you breastfeed. 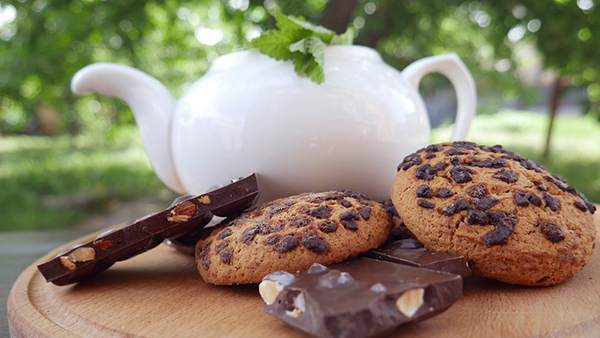 Chocolate, unfortunately, is among the foods to avoid while breastfeeding for the same reason coffee is. That is, due to the caffeine content. It’s important to note that caffeine content in chocolate varies from 3.5mg per ounce (milk chocolate) to 20+mg per ounce (dark chocolate). White chocolate shouldn’t contain any, but it’s best to check the label. The fact that this delicious treat has a much lower level of caffeine means you can enjoy it a little bit though. However, be sure to choose healthy (and even useful!) chocolate goods like these lactation biscuits. These will not only allow you to enjoy the delicious taste but also stimulate the production of breast milk, which is an important concern for many mothers. It’s advised to avoid peppermint, oregano, thyme, and parsley while breastfeeding because they naturally reduce a mother’s milk supply. The good news is that women who suffer from overproduction of milk can use them as natural and safe aids to combat the issue. Bear in mind that herbs are relatively mild in their effects on one’s health. This means that flavoring your salad with 1-2 sprigs of any of these shouldn’t cause any issues, especially if you don’t do this daily. This also means that you can enjoy an occasional relaxing cup of peppermint tea without fearing any serious side effects of reducing breast milk supply. One of the main reasons why it’s advised to avoid citrus fruits while breastfeeding is the risk of your baby developing an allergic reaction. Even if your baby doesn’t have an allergy to this food group, it’s advised to not risk it. All types of citrus are irritants and can cause tummy problems, fussiness, and spitting up. Instead of citrus, you can get a healthy dose of vitamin C from a nice ripe mango or pineapple. It’s essential to avoid fish because they are generally high in mercury which can cross over into your breast milk and literally poison your baby. Remember that the damage for a newborn is much greater than for an adult with a strong immune system. Fish highest in mercury include tuna, marlin, swordfish, tilefish, shark, mackerel, grouper, bluefish, and sea bass (and their numerous sub-species). 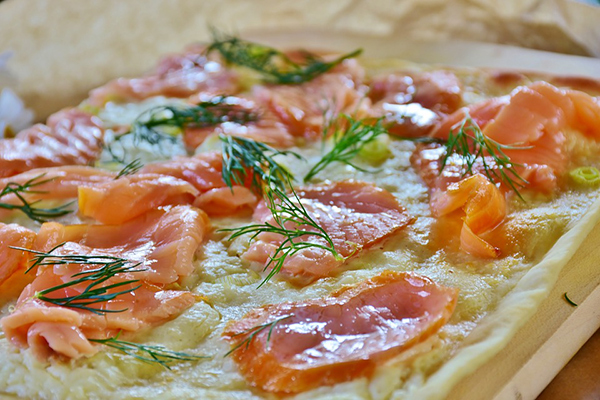 Safe kinds of fish that are actually good for pregnant and breastfeeding women due to their omega 3 fatty acids include sardines, herring, salmon, and rainbow trout. And finally, the one that should go without saying but should not be forgotten about, is alcohol. Alcohol gets into your breastmilk and remains there for about as long as it remains in your bloodstream. So, unless you want your baby to develop alcoholism in infancy, you should avoid any drinking while you nurse. Most of the times people want to connect and talk to their friends or family about the issues they are facing or share their feelings with them because they understand. However, there are also times, when none of you want to talk about certain topics with them because of the fear of getting judged or perhaps simply because they will not understand. When it comes to this, either people shut them off completely and get depressed or they try to look for ways to talk to someone unknown, like a psychologist and share the burden on their minds and hearts. So, what do other people do? They would try to talk to someone whom they do not know. He or she could be a random person online. But before you do that, make sure that you will consider the points below. Consulting a psychologist and talking to them about your issues, feelings and telling them everything that is going on in your mind is an excellent practice. No one can guide you better than a phycologist who is educated and trained to bring calmness and lightness to the lives of their patients. No wonder how good it is to have a psychologist, but it also requires a huge sum of amount to consult one. 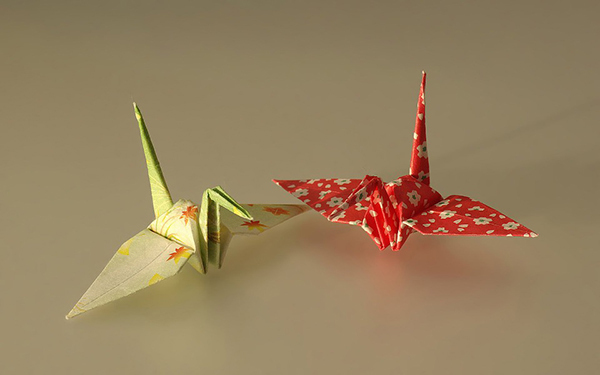 A person who works hard to make their both ends meet cannot afford to spend several bucks just to talk to someone. In such scenarios, the online sites where strangers can talk while staying completely anonymous certainly come in handy. Most people only know about Omegle which was the site aimed at stranger’s chat. A good news is that there are many other sites as well which were unknown to most of us. Whitesummary.Com has listed some of these sites to bring our online, free of cost stranger psychologists back in our lives. There were times when people used to say not to talk to strangers in buses, malls or elsewhere since there was always this fear that strangers can harm you. No wonder, this is still true and will always stay true. In fact in the era of digital communication, it has become truer that people can harm you in several ways. However, you can still have a nice heart to heart conversation with one, if you keep the rules of not sharing any personal details with anyone online or in real life. To some, it is a silly idea to talk to strangers when you have friends and other people around you. People also find it unsafe and weird to even greet a stranger who has been sitting with them in a 10-hour long flight. However, it truly is a nice experience to meet and talk to strangers and share with them the details about which you barely talk to anyone else. Not only you will feel lighter and relaxed but you will also understand that there are people who are sometimes having it worse than you. Even if you don’t have anything to say or share, you can listen to others. Everyone these days has something to say, something to share and it feels truly nice to have someone who can listen to everything that you want to say. 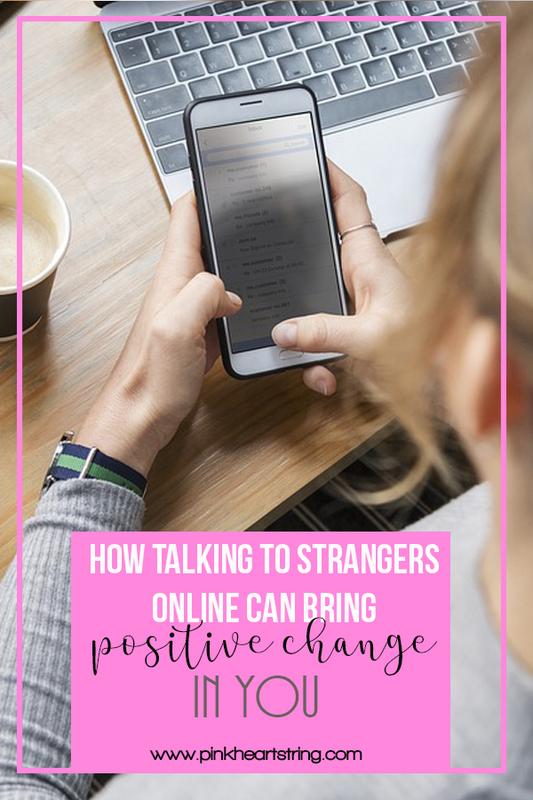 Would you talk to a stranger online too? As a general rule of thumb, everything that is natural and organic is better than products that contain synthetic chemicals, fragrances, and additives. When it comes to babies, this is even more important, since their skin is more susceptible to irritation and dehydration. Furthermore, the growing issue of eczema and other skin problems in infants has made this topic even more important to explore. When we consider some of the major loopholes in laws that allow thousands of synthetic chemicals in skincare products, and the not-so-trustworthy in-house investigations of commercial companies, we must ask ourselves how safe the products we are submitting are youngest ones to really are. 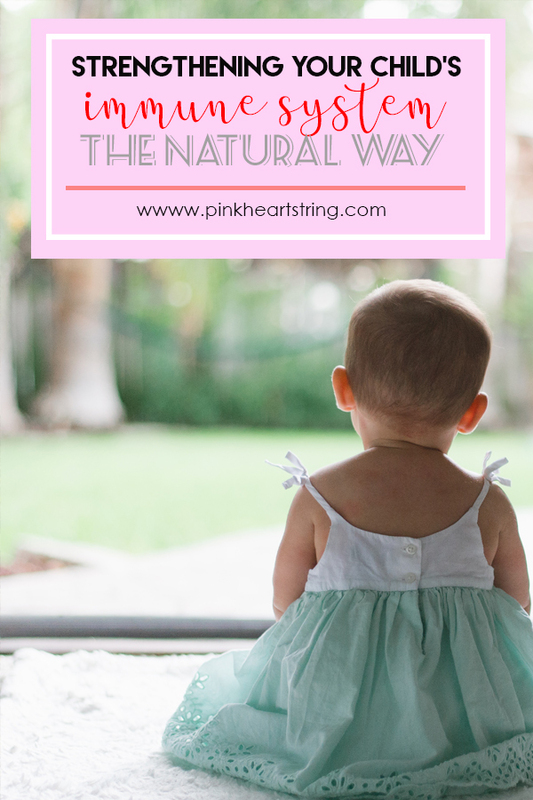 Choosing natural over synthetic is a matter of safety, and here’s why. 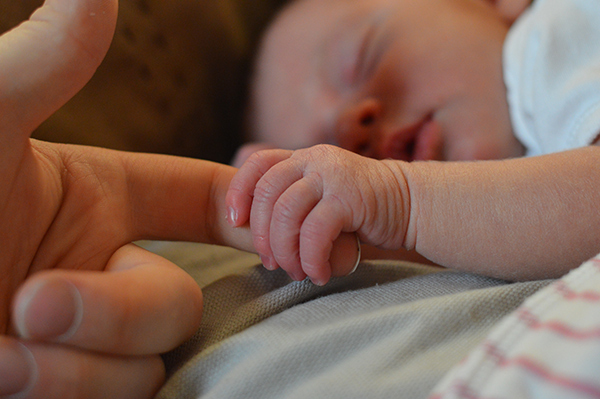 This is something all of us already know, but it is not just that babies have softer and gentler skin. Their skin is completely new and it is not completely developed yet. Because it has a lot of growing to do, it hasn’t developed any kind of resistance to harmful outside factors, and it is prone to infections, bacteria, and reactions to chemical products. Organic skincare products do not contain chemicals or synthetic ingredients, which is why they are less likely to put your baby at risk of developing infections and other negative reactions. Babies’ skin is also more susceptible to getting dry. While babies do get hydration from breast milk (if you are breastfeeding), this isn’t enough. There is a need for boosting the hydration with quality, natural products that can prevent irritation and sore, cracked skin. Organic products are specially formulated for extra skin nourishment, and they contain soothing, mild ingredients like chamomile and honey and natural oils like macadamia oil and avocado oil. All of these together provide unparalleled nurture for babies’ sensitive skin. It is essential to remember that the skin too, is an organ - the biggest organ of the body. That’s why we shouldn’t disregard the fact that skincare products are absorbed by the baby’s body to a certain degree. This way, they can reach inner organs. If they contain fragrances and dangerous chemicals, this means the baby’s organism will be exposed to them. 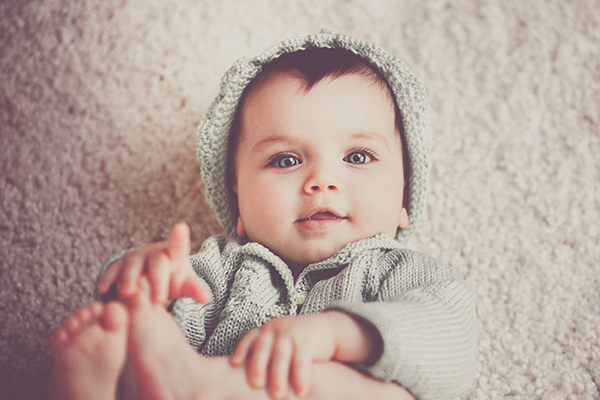 On the other hand, natural organic baby products nourish the baby’s skin without exposing it to any harm. 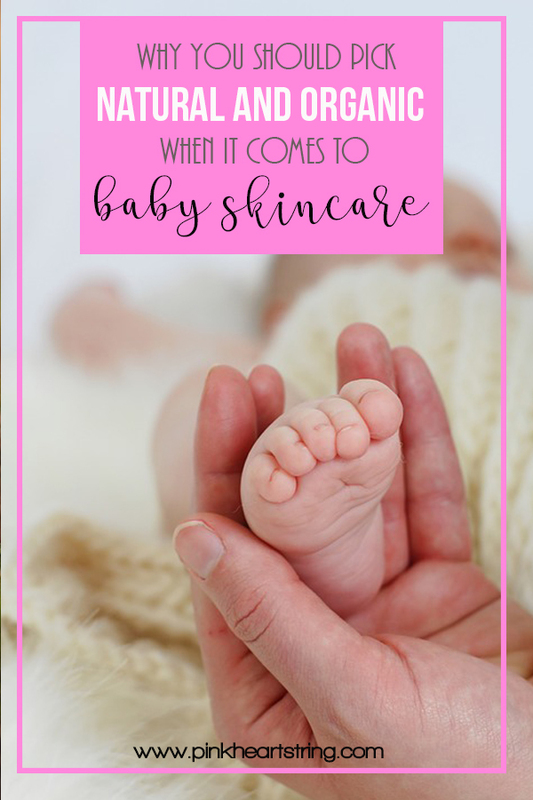 When the baby’s skin absorbs flaxseed oil, Aloe vera, and beeswax, there is no way these ingredients could in any way put your little one in danger. We’ve already mentioned the harmful effect of synthetic ingredients, but it is important to know just how dangerous they can be. In fact, many of them act as “endocrine disruptors”. This means that these ingredients interact with hormones within the body and can disrupt the body’s natural functions. The consequences of this are health issues including cardiovascular problems, obesity, memory difficulties and diabetes. Babies and children are especially sensitive to these disruptors. ● Parabens – preservatives used in skincare products, which are banned across the European Union because of their link with breast cancer and other diseases. ● Phthalates – this substance is easily absorbed by the skin and accumulated in one’s organism. They are associated with kidney problems, birth defects and infertility. ● Fragrance – synthetic fragrance can cause skin irritation and allergies. ● Petrochemicals – these chemicals have cancer-causing properties and can clog pores. ●Dimethicone – pigment that can cause irritation and discomfort. How to choose the best products for your baby? Now you know what to avoid, but what should you look for? 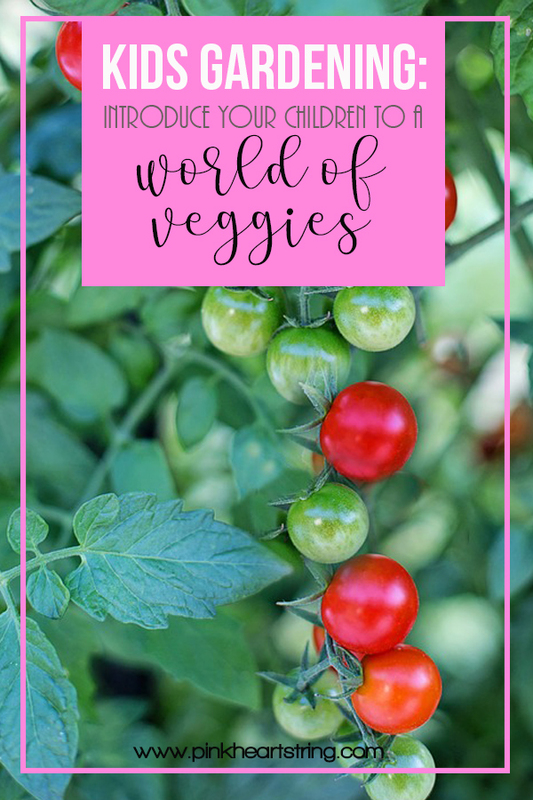 Besides the label that says organic or natural, you need to see whether the ingredients are grown without pesticides and synthetic fertilizers. This is something you can find out on the very label, or by researching the company that produces the product. 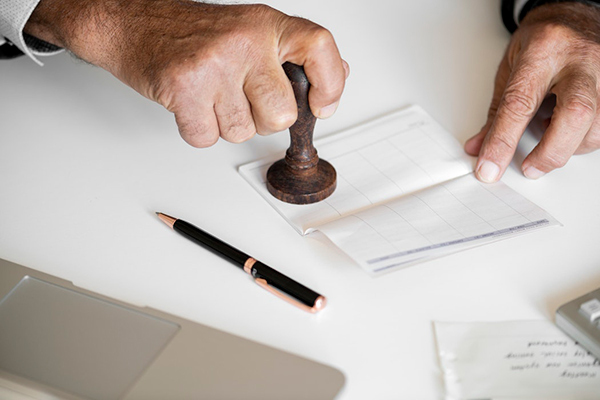 Furthermore, you can research the type of the organic certification the product has and how strict the process of getting that certification is. The priority of all parents across the globe is their baby’s health, and skincare shouldn’t be neglected either. Therefore, it is always best to turn to the greatest parent there is – Mother Nature. Parents have one of the hardest tasks out there. They are preparing the next generation to take charge of the world and be our future. But they don’t have all of their time to devote to that, leaving many children without the parental attention they need for proper upbringing. 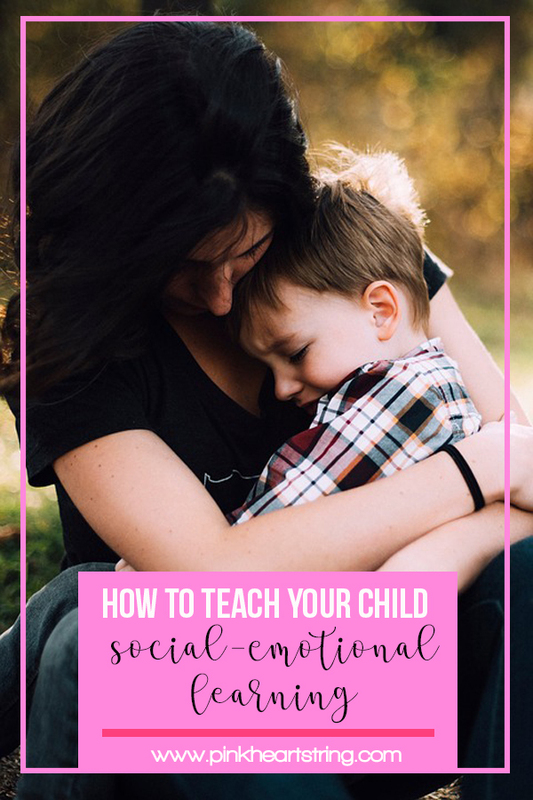 But even if you have very limited time to spend at home with your children, you can make sure that time is spent in a quality way, strengthening the bond between the parent and the child. So, when you catch yourself with some time on your hands and your kid around, try some of these things. Kids are often fascinated by the fact that they come from a long line of different people and places. Dust off the old family photo albums and start telling your kids about the people that were there before them. Try to make it fun: find interesting or funny stories about different people and try to tie it all into something that is familiar to the kid, like someone who used to live in the same house you live in now. You can also tell a story of someone who took you camping to the same place you now take them. Kids have a hard time imagining that their parents were also kids a while back, so find old pictures and tell them what you liked to do when you were their age. Ask them about their dreams and the future and what stories they want someone to tell about them when they look at old pictures. 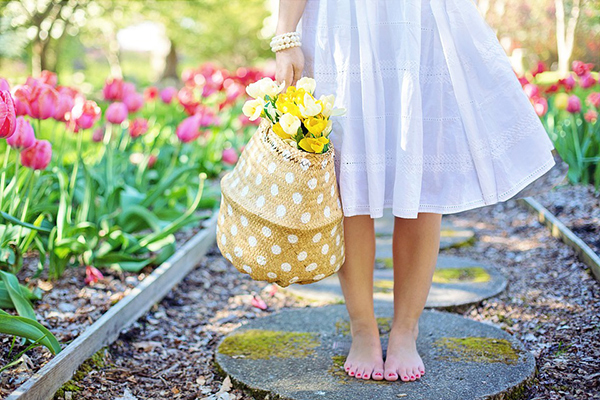 If the weather is nice, then it is prime time to bring some sunshine into your daily activities. This can be as simple as going out for a walk with your kid or bringing a ball and playing catch. 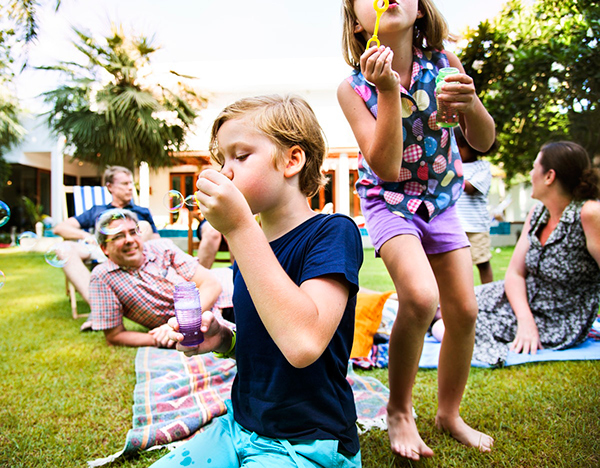 This can be fun for the whole family, and if you have four or more members, you can organize some fun competitive games to play against each other. 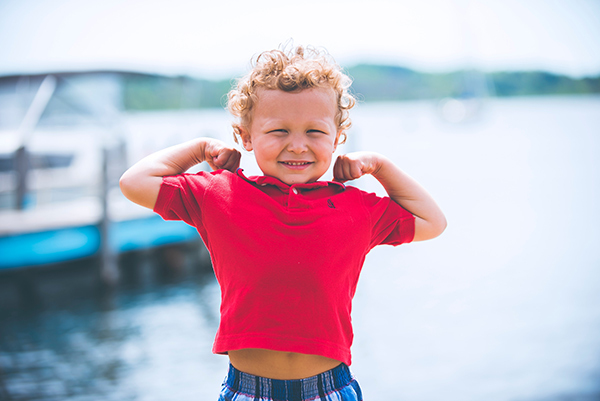 Spending time outdoors is crucial for the healthy development of kids, not only because it keeps them fit, but because they get the much-needed fresh air and sunlight. If you aren’t feeling particularly active, you can simply go to a park and lay on the grass, watching the clouds. Technology is the future, and while limiting the time your child spends on the computer is your right and responsibility, you shouldn’t deny them access to it altogether. Instead, when they want to play video games, try playing together with them and choosing software like turtle games to make the time not only fun but also educational. If your child is spending a lot of what is supposed to be your quality time looking at their phone, think about where they got that habit. Make an effort for both of you to put your phones away. Alternatively, share the screen by playing games together, watching videos or taking fun selfies. As long as you are not getting into an argument over screen time and attention, you should be happy with the time spent. 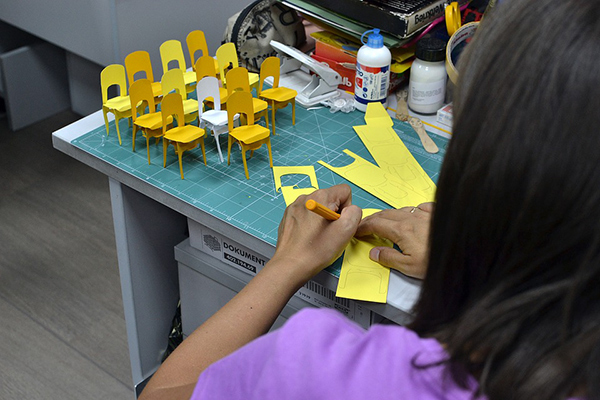 Chores are something nobody really likes doing, but if you make them a group activity instead of an isolating experience, you can make it fun and have it go a lot faster. Instead of delegating that everyone does one chore, try to bring everyone together to do the same chore. One person can do the dishes, another will dry them and the third one will put them away. Or have one person dust, another clean the floor and the third tidy up, moving from room to room as a team. This will not only create good habits since chores won’t be something that is considered boring or hard work. 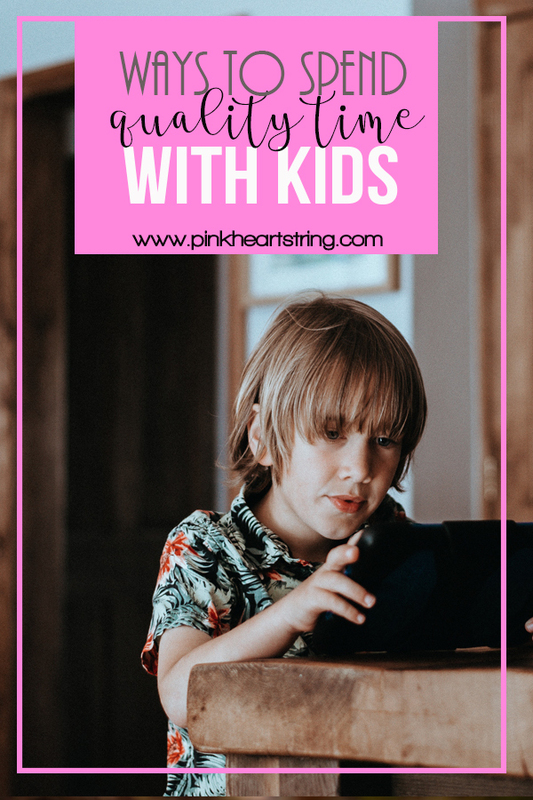 Besides getting the house clean and tidy, it will help teach teamwork and sharing the load of housework, which kids should learn at a very young age. If they put up a fuss, simply tell them that you all live in this house together and that unless everyone cleans, you will all be living in a messy house, and they wouldn’t want that. Each moment you spend with your child is precious because before you know it, they will be all grown up and off to live a life of their own. This is why it’s important to instill in them your values, habits, and ways of thinking to prepare them for the life they will have when they leave the nest. Present everything you do with them as a game or fun activity, because we learn a lot more when we are having fun! 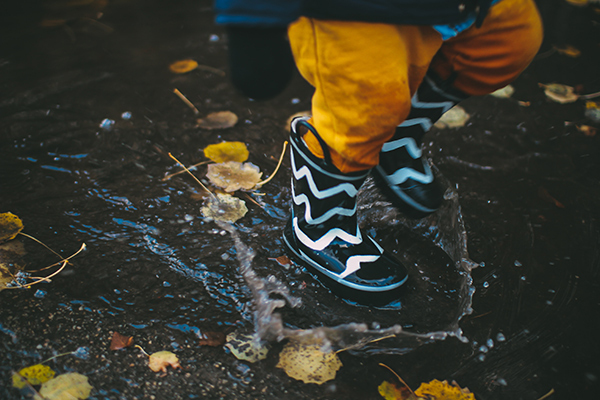 One of the most important things for your child's development is playing outdoors. The best way to encourage plenty of outdoor time is to have an inviting space in your backyard for your children to play. Thankfully, a fun backyard does not have to cost a fortune with these creative backyard ideas for kids on a budget. 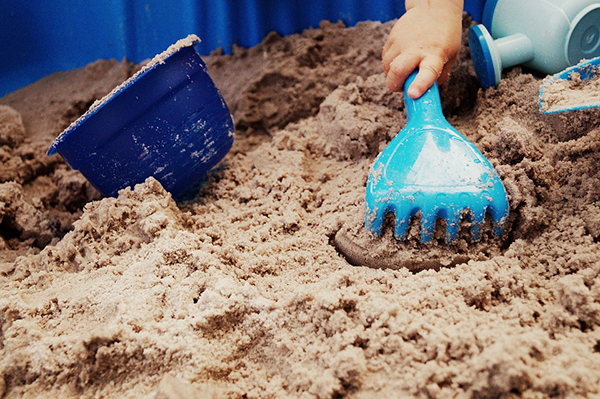 If you are looking for simple, yet creative backyard ideas for kids, go no further than buying a few bags of sand. All kids love sandboxes and they can be made very simply with some scrap wood that you have laying around or some extra rocks. Use wood or rocks to make a space for the sand and voila! You have your own sandbox right in your backyard. Not only is this cheaper than buying a sandbox, but you can make it much bigger for many kids to enjoy. You can also add a wooden umbrella to shield your kids from sunlight. Going to the park is always fun, but sometimes kids love to have some of that fun right in their own space. A homemade tire swing could be a great way to let your kids have some fun and recycle one of your old tires. All you need is an old tire and some rope. If you are really looking to go all out, you could make a homemade zip line by attaching some rope from a play set to a tree. Be sure to do your research to ensure that the zip line is safe, but you will quickly find that this little project can be a simple and cost-effective way to add some excitement to your backyard. 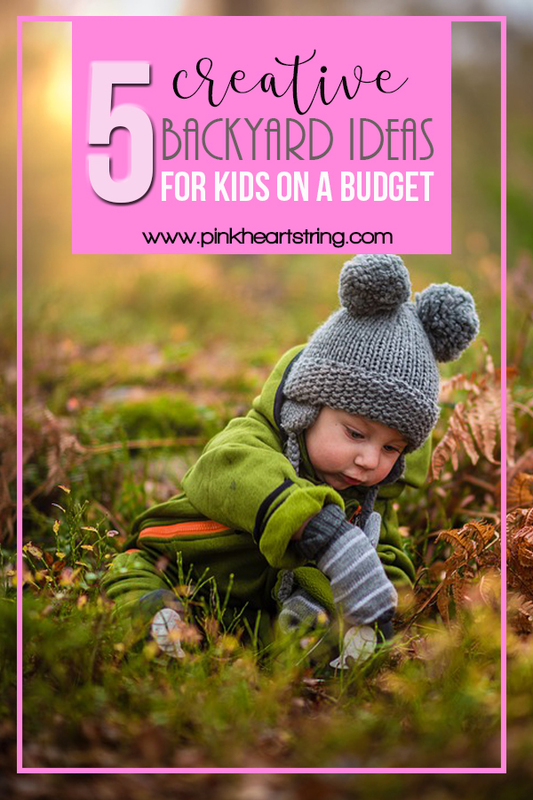 Plant a few berry bushes as a way to give your kids something to care for... and eat! Raspberry bushes are relatively easy to care for and your kids can help you plant and water them. 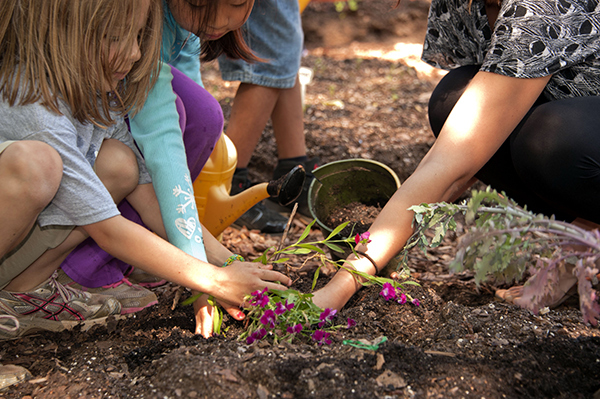 This is one of the great activities to teach children the responsibility of caring for living things. Plus, this will provide a delicious, healthy snack right in your own backyard. Kids love splash pads and what could be better than having one in your own backyard? Unlike a swimming pool, a DIY splash pad is an idea that takes a little cost and space. Plus, if you build your own splash pad, you will likely save money since you will not have to pay to visit your local one. There are plenty of great ideas online for DIY splash pads. These can be quite inexpensive because the require simple items like a sprinkler, PVC pipe, and pool noodles. According to The Irrigation Shop, who provides full repair service for water pumps for years, to ensure water safety, the kits should also include equipment such as a chlorinator or a UV light sanitizer. If you are looking for backyard ideas for older kids, this one is perfect. String some Christmas lights from your deck, playset, or trees. 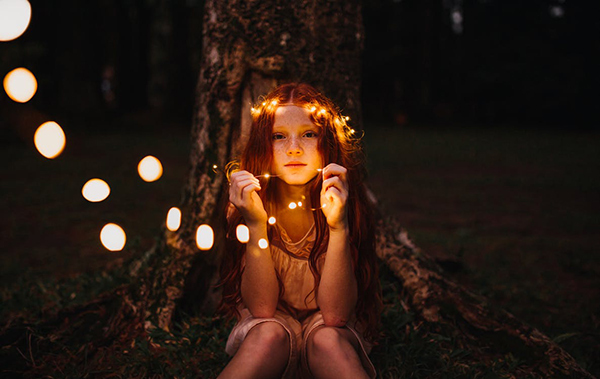 Lights will make your backyard feel magical as it gets dark out and your older kids will love hanging out in this space. Plus, once the kids go to bed, lights are a little addition that the adults can enjoy as well! 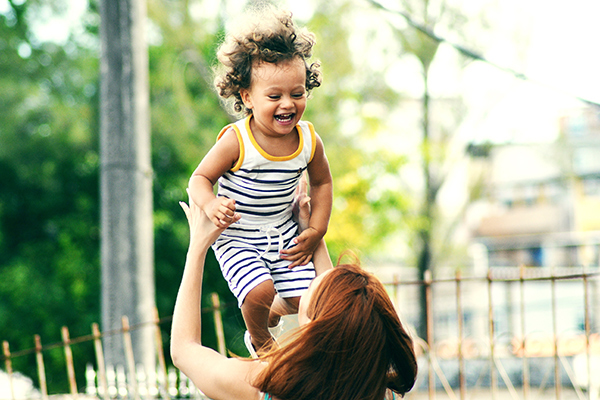 Traveling with the baby is like learning how to walk on a tightrope – it will take a lot of effort, energy, and finesse to achieve the balance, but it can be done. After all, it is important to involve your toddling rascal in traveling experiences as early as possible in order to introduce them to a variety of family dynamics and slowly give them the healthy (and rather exciting) idea of how vast the world actually is. 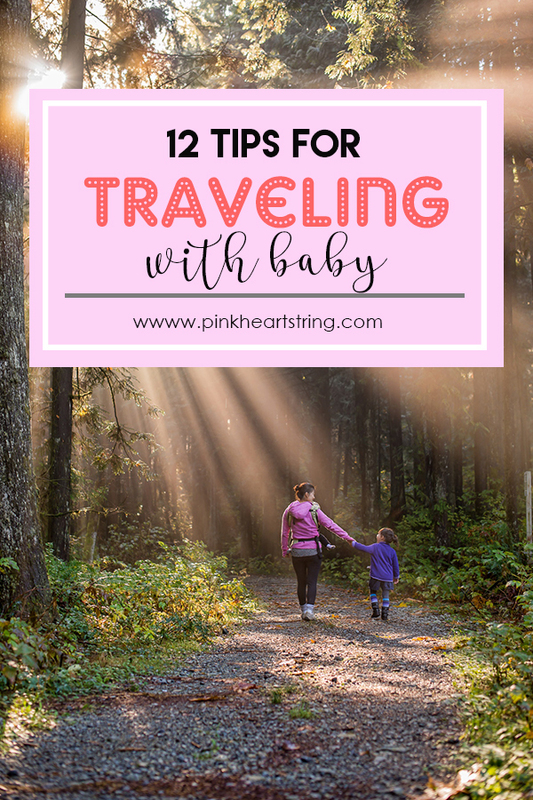 If you are trying to get to grips with this new factor in your globe-trotting activities, here are 12 tips for traveling with the baby. Depending on the length of the trip, you always have to be stacked with drinkables. Before the journey, do a calculation of how long it will take to get from point A to point B and arm yourself with fluid accordingly. It’s crucial to keep your baby hydrated, so always bring a bottle with an easily detachable top that can be refilled whenever your baby decides it is bottoms-up time. 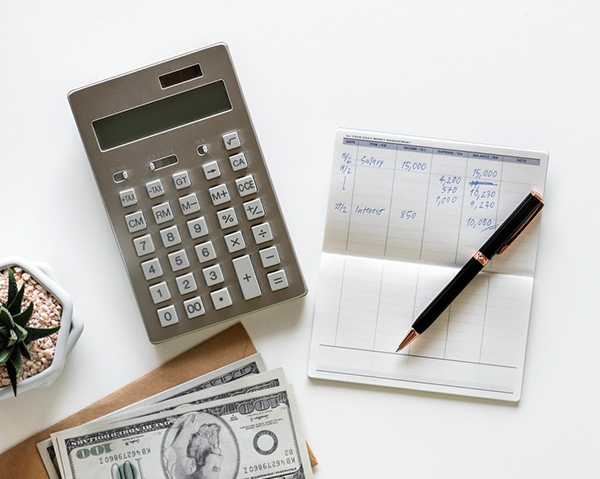 When it comes to packing more than drinks and snacks, you have to think double – make a list of the things you need, from diapers to clothing – and settle on the ballpark number of these individual items you need. Now double it and bring it all along. Babies are unpredictable and who knows what might come in handy. Babies are delicate creatures, which is a fact that can turn into an issue during prolonged traveling arrangements. If the child feels sick, you have to be absolutely armed with the technology that will enable you to contact medical experts or authorities. 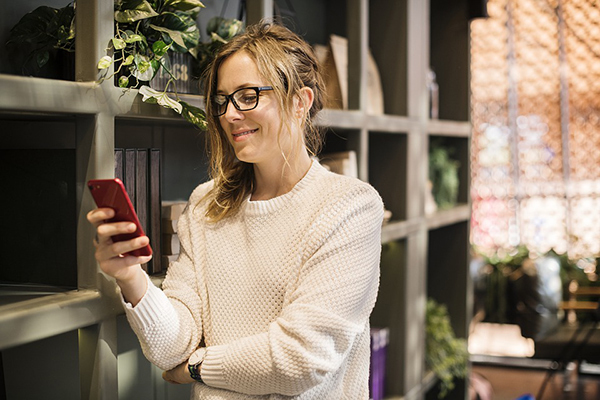 Make sure your cell and your tablet are charged before the trip and bring portable batteries in your backpack in case one of your devices gets depleted unexpectedly. However, technology is not only useful for contacting authorities and medical experts. 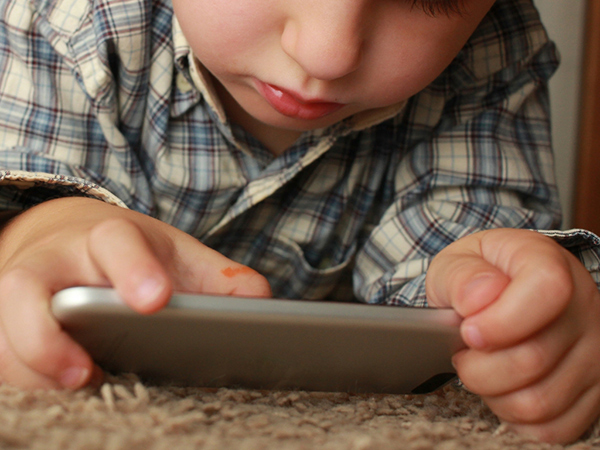 Tablets can also be a source of fun for your child while you travel. 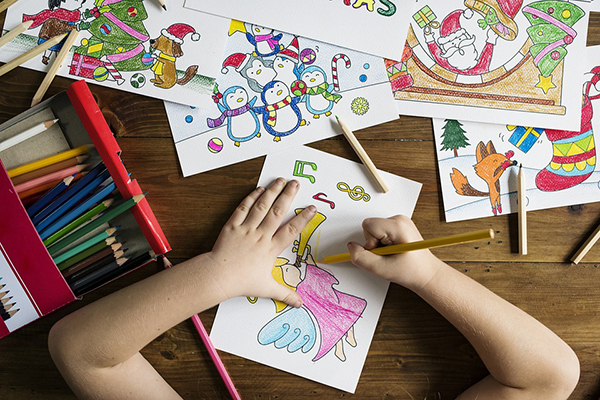 In case your kid has reached toddler age, chances are they will want to be occupied with games, music or video material. If you are engaged with something else – for example, if you are driving – you can let your child enjoy some safe audio-visual educational material with interactive properties. If you are traveling halfway around the world, chances are you will purchase a plane ticket for a short “hop” across the globe. In this case, book a seat that is positioned right next to a bassinet connection. This is really practical, especially because the strollers are typically too bulky for planes. You can also maneuver through your vacation more easily with your baby strapped in the elegant hands-free baby carrier, which will serve you well both during the inconvenient airplane boarding, city touring and museum dwelling. However, if your child is still too young, do everything in your ability to schedule the traveling part of your vacation around your baby’s sleep time. This way, there will be no muss or fuss and no headache for either you or your companion travelers. Once your trip finally begins, it is not out of the realm of possibility that your baby will refuse to go to sleep. In this case, it would be ideal if you brought along items like a favorite plush toy, a blanket or a pillow – something your baby will associate with sleep and get into the lull mode as soon as it comes into contact with the item. In order to stay sane, you need to have an outlet and entertain yourself during the trip – something that will be consistently there and only yours. This is why it is always good to bring a book for a light read during the trip. Your baby does not care about schedule or rules. In order to appreciate the vacation and take care of your baby properly, avoid tourist arrangements with rigorous schedules. Otherwise, a city tour can turn into a real nightmare if your baby decides it is time to cry and demand nutrition. In case your baby decides it is luncheon time at the most inopportune moment, you have to be comfortable with nursing. This means you should also avoid vacations where public breastfeeding is illegal or frowned upon (yes, believe it or not, such locations still exist). 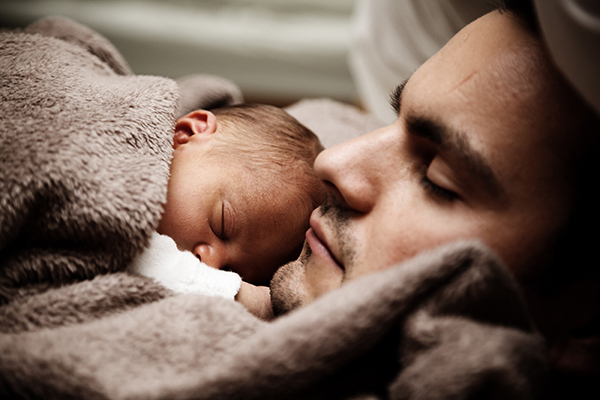 The best way to get the most out of your vacation is to get into the napping sync with your baby – whenever baby goes to sleep, take a power nap to replenish your wells of energy and remain fresh throughout the vacation. Here’s the most important tip of all – never go on a vacation with your baby alone. At least, bring a close friend along who will be ready to help out with baby management. 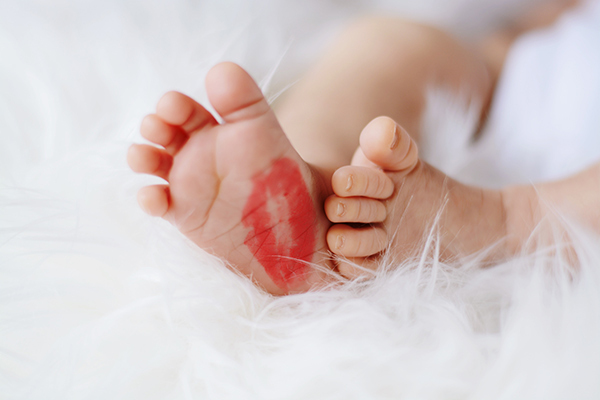 Try to imagine your baby is a celebrity – somebody who needs a lot of pampering and a lot of micromanagement all the time. 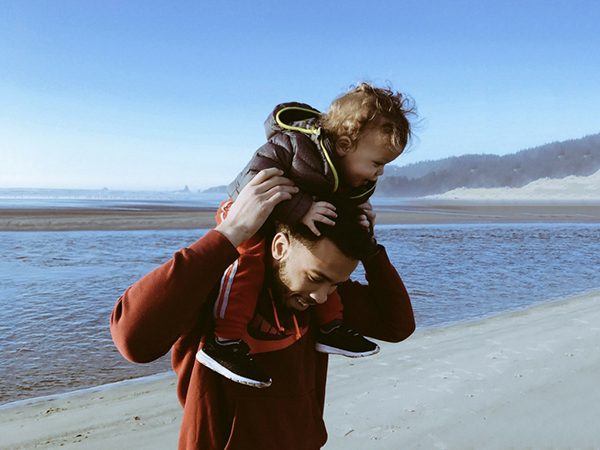 Once you introduce a toddler into your traveling habits, it’s just like anything else – you need to get used to it, be prepared all the time, and after a laborious “trial period”, you will get used to it completely.